A successful debut Indian poet would be deported. Is he one among the 40,000 skilled Indian workers? Skilled Indian workers to be sent home! See the irony of the Indo-British Empire and its twists and turns. Indian skilled workers range over a wider field of human skills. Teachers, business and IT professionals, health sector workers, charity workers, majority of them from India are to be deported. 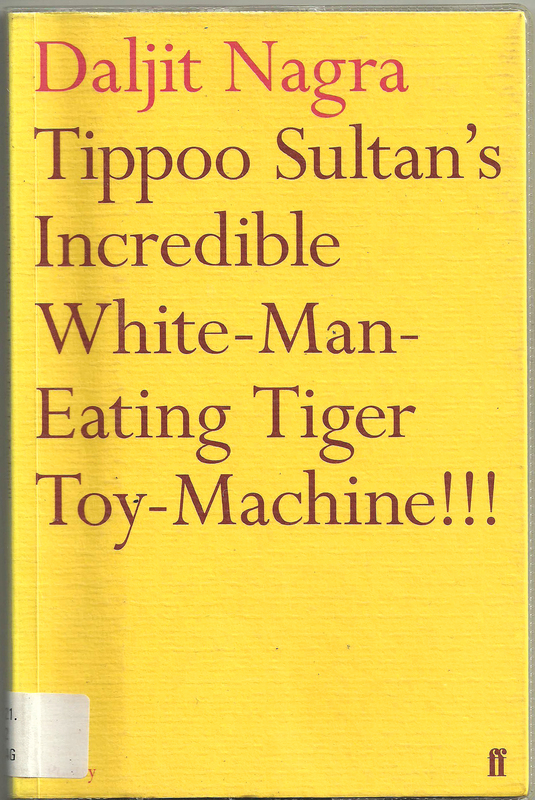 There is a young Indian poet, named, Daljit Nagra whose second volume of poetry is just out and this second volume, ironically titled, ‘Tippoo Sultan’s Incredible White-Man-Eating Tiger Toy-Machine is awarded another prestigious poetry prize. England, a land that had fascinated the world, particularly, the Indians who were over-awed when the first white man set his feet in India and then, as we know the story, finally went on to conquer and subdue us to helplessness. Yet, there is this love-hate relationship between Indians and the British. Now, the Brits, as they are called with rather a contemptuous tone, don’t want to leave Indians to their own devices. With Mr. Narendra Modi being courted and the Indian Prime Minister is having another makeover, this time with his wax model being erected at Madame Tussauds in London, Singapore, Hong Kong and Bangkok next month. Modi is being portrayed as the global leader along with others in the famous museum in London. Those who had visited London would know how expensive the museum is and how really purposeless is this venture. The Brits, now broken, they need money, lots of them to balance their budgets and one way they do it is to charge the tourists by almost fleecing them with exorbitant entry fees even to simple literary figures like Samuel Johnson in Central London. The Brits also has raised their visa fees recently, the UK visa fee is one of the most expensive one in the world, you know? Now, a bombshell for the thousands of Indian workers there. There is now a new rule that says that unless you earn more than 35,000 pounds, whatever be your skills, you are liable to be deported, yes, deported and this rule comes into effect on 6th, April. Under this new rule those who earn less than 35,000 pounds, excluding over-time and second jobs, come under this category. Skilled workers from non-EU countries, on Tier-2 visas will face deportation after five years unless they can show minimum annual earnings of 35,000 pounds. For long it was believed that the UK rows youngsters for study and work. Now, they invite for study but not for employment anymore. UK economy is no more an empire-based economy. Now, it is a shrunken small island. Unlike the USA which draws workers from overseas, more so from India. After 2008 world economic crisis, there is crisis in the USA too. So, the UK home ministry says the new rule will break the link between study and staying in the UK permanently. But whatever be the new realities the Indian love for UK and specially the English language is likely to remain unaffected. One example is the successful lives of poets and writers of Indian origin in English language. Daljit Nagra is a new thrilling voice in English poetry. 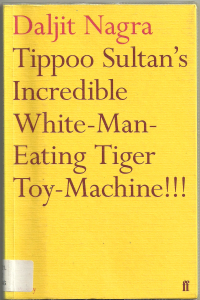 Tippoo Sultan’s Incredible White-Man-Eating-Tiger Tipu-machine is the eighteenth century Mysore ruler’s pastime, to have mechanical toys symbolizing a tiger savaging a British soldier, at the throat of the old British Empire. This small little book of hardly 50 pages, published by the famous Faber and Faber, has poems that are hard-hitting, passionate, and satirical. Daljit Nagra, obviously from Punjab, has brought a new twist to the many ironies that mark the rise and fall of the British Empire. India and Indians have a stake in such new poetical outpourings.